The Mission of PAHA (Pacific Academy of the Healing Arts) is to build recovery in the lives of individuals, families, and communities affected by mental disorders, alcohol and other substance use disorders and related diseases. PAHA dedicates itself to providing individuals, families, and communities on the neighbor islands of Hawai’i and other Pacific islands access to affordable resources for achieving successful recovery and relapse prevention, using community-based mental health, drug prevention and addictions treatment systems, which are firmly grounded in evidence-based practice and culturally sensitive philosophy. PAHA (Pacific Academy of the Healing Arts) will lead the way as an emblem of Recovery from the demoralizing effects of co-existing substance use disorders and mental illness affecting many communities in the state of Hawai’i and other Pacific islands. PAHA will outreach to and serve those individuals, families, and communities facing the greatest risk, including rural and medically underserved geographical areas. PAHA will recruit, educate, and mentor a community of mental health and recovery/prevention professionals, dedicated to addressing the systemic issues that hamper the provision of excellent behavioral health services to Hawai’i and Pacific islander residents. To treat all individuals who come in contact with PAHA with respect, compassion and dignity. To practice, model, and encourage the highest level of professional and humanitarian ethics and integrity in all of PAHA’s dealings with consumers, their families, PAHA staff, kindred professionals, and the public. To provide services and education based on the strengths of our consumers and students and their support systems. To encourage our consumers and students, as well as their families and communities, to share in the opportunity to participate in the development and improvement of the PAHA service system. To promote accessibility to highest quality mental health and addictions treatment for all who need it, especially those challenged by cultural, social, geographic, economic, and other barriers. To promote excellence in clinical practice in addictions and psychiatric/mental health treatment on the neighbor islands of Hawai’i and the Pacific. 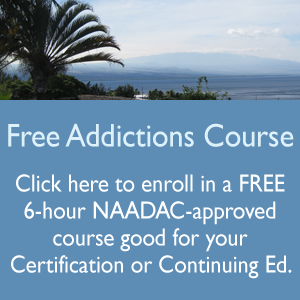 To provide state-of the-art professional education for Pacific island addiction and mental health professionals. To educate the public and influence public policy regarding addictive and mental illnesses.